Every time we do a kick off call with a new 3Cs Program client, I’m surprised to discover that so few VARs are using some of the most important and widely-used marketing tools that are freely available on the web. Successfully marketing your ERP software and technology solutions requires more than guesswork and shot-in-the-dark tactics. You need tools and data that gauge the impact of your efforts and provide insight to make adjustments when needed. In this article, we’ll take a peek at some of those tools … not surprisingly, many of them are provided free from Google. After all, Google is still the king of search and search visibility is good for business. This is a free tool that marketers use to keep track of companies, competitors, and important keywords. Google Alerts monitors the internet for news, blog posts, and new web content that’s related to your industry. When an alert condition is triggered, you get an email summary of new content and online activity surrounding the keyword search phrases you specify. You can specify the exact keyword phrases you want to monitor and the frequency of email notification. For example, we’ve got Google Alerts set up for keywords like “Sage 100 ERP” and “Microsoft Dynamics GP” along with “Juice Marketing” to monitor our brand. Go to www.Google.com/alerts to being monitoring industry keywords and competitors. Another free service from Google, the keyword tool provides valuable data about keyword search volume and competition so that you can build a solid keyword strategy based on real data and research, not just guesswork. Just plug your keyword phrase into the Google keyword tool to get data about monthly search volume, how competitive a given search term is, related keyword phrases that you might consider targeting, and how much you might expect to pay if you launched a pay-per-click campaign. You can even enter the website address of a competitor and see what Google has to say about the keyword terms it associates with their company. Go to www.googlekeywordtool.com and click Google Keyword Tool in the top Left corner to kick it around a bit and see what you discover. But adding a location to those search terms, like “Accounting Software Provider San Diego” or “Sage MAS 90 Chicago”, makes it a bit easier to rank for and can yield more targeted web traffic and better leads. That’s where something like Google Places can play an important role. If you haven’t already done so, be sure to set up a business listing on Google Places. Fill out as many fields – both required and optional – as appropriate. The more data that Google Places has about your business, the better chance you’ll show up in local search results. That means you should include all local phone numbers (not just 800 listings), local office addresses, your website, industry categories. It’s also important to make sure the data is consistent with the information listed on your website – if Google has trouble validating the details of your listing with information available on the web, you might encounter some problems. Go to www.Google.com/places to add your listing. This is a free tool that runs a diagnostic check on your marketing presence across the web, including social media. It takes a close look at important indicators such as SEO optimization of your website, the effectiveness (or lack of) your blog, whether your website and brand are being mentioned in social media, and how you stack up against competitors. The marketing grader runs an automated check and spits out a number grade on a scale of 0 to 100. Like any automated (and free) service, you should take the grade with a grain of salt and interject your own human intuition about the results you get. But it can be a good way to identify critical holes in your online marketing approach that require some attention. P.s. In exchange for the free service, Hubspot will subtly try and sell you on their marketing platform. Even still, it’s a useful diagnostic tool. This tool is a little more technical but highly important. 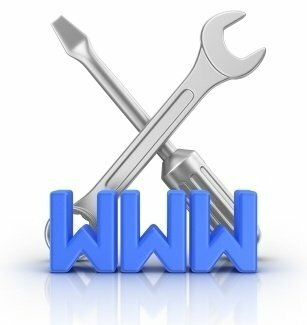 Simply put, Google Webmaster Tools allow you to monitor and adjust the technical aspects of your website in order to optimize for search visibility. You can submit and manage your sitemap, check for Google spider crawl statistics and errors, determine how Google indexes your site, generate a list of inbound links, and a bunch of other metrics that are important for SEO. Go to Google Webmaster Tools or check out this short video that provides an overview of Google Webmaster Tools in layman’s terms.